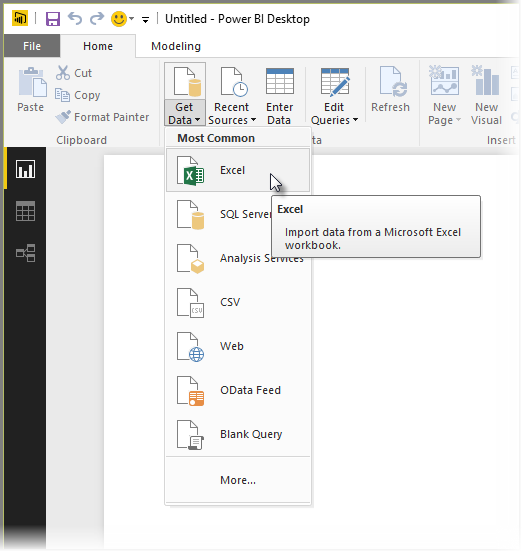 Connecting to an Excel workbook from Power BI Desktop is straightforward, and this article walks you through the steps. In Power BI Desktop, select Get Data > Excel from the Home ribbon. Select your workbook from the Open dialog that appears. 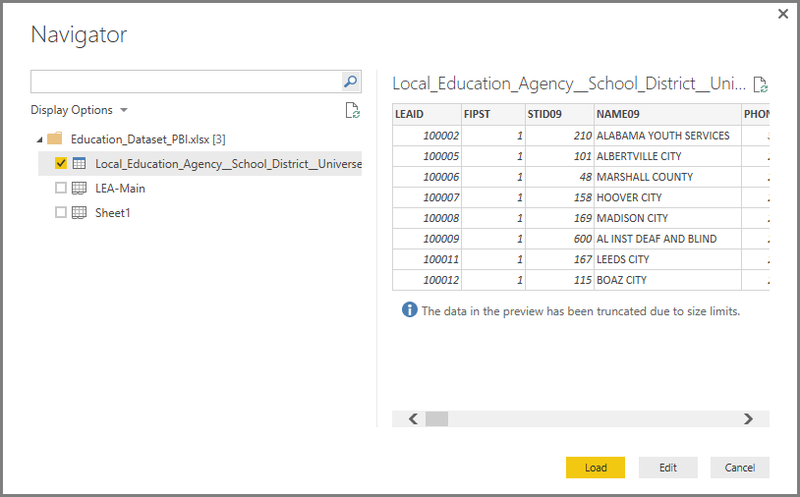 Power BI Desktop presents the tables on other data elements from the workbook in the Navigator window. When you select a table in the left pane, a preview of the data appears in the right pane. 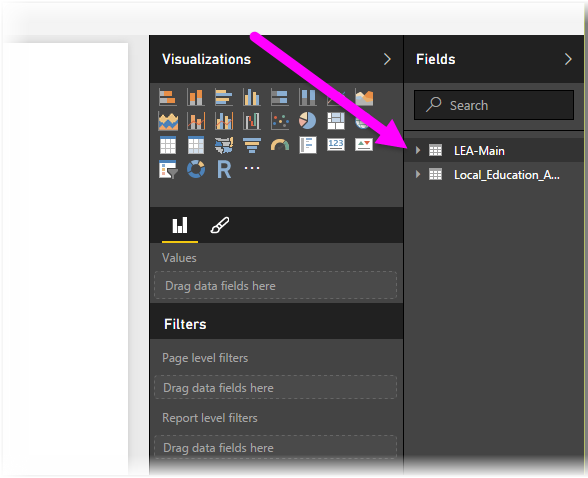 You can select the Load button to import the data, or if you want to edit the data using Query Editor before bringing it into Power BI Desktop, select the Edit button. When you load the data, Power BI Desktop displays the Load window and displays the activity associated with loading the data. When complete, Power BI Desktop displays the tables and fields it imported from your Excel workbook in the Fields pane, on the right side of the Desktop. 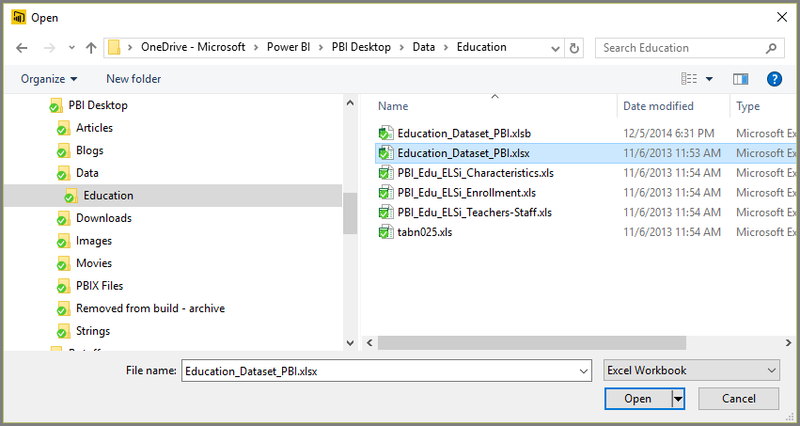 You’re now ready to use the imported data from your Excel workbook in Power BI Desktop to create visuals, reports, or interact with any other data you might want to connect with and import, such as other Excel workbooks, databases, or any other data source. What is Power BI Desktop?